Only the PortableApps.com version can be made true Portable. @Checker - It appears the publisher pulled it and reverted. We switched back for the PortableApps.com version as well. @ I am Baas: That's strange, I had this new version with complete changelog yesterday. Maybe it was buggy and the switched back to the old version. If you wish to discuss, please take it to the Forums. The application should be listed here. It is so unportable, it shouldn't even be listed on here. To save space, delete all the additional languages in the ZIP file and total file size is only 16.3 MB. Huge savings! You CAN save the settings, and NOT in the registry, but you must do it manually each time you change an option. Now default settings will be loaded each time you run TeamViewer. Remember to repeat the export each time you change an option. is this trial or not? What I do not understand of this program is if it relies on third party servers or not. If I'm using it for treating personal information, I would like something like VNC which establishes a point-to-point virtual LAN connection without intermediate server. 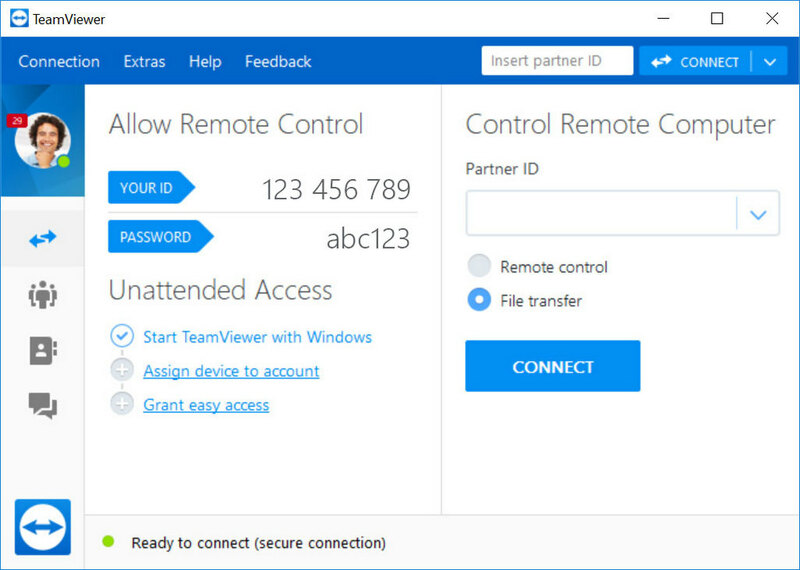 About TeamViewer...boh? What you forget to tell to JT (and probably everybody else...) is that in the download page we don't have the typical TeamViewer Portable is only included in the Premium licenses or higher like in TV Manager or TV Msi. But then, after downloading what we 1st assumed to be a freeware soft (for personal use), we find out in the readme.txt : CAVEAT: Using TeamViewer 5 Portable requires a TeamViewer Premium or Corporate license. !!! It still works but we can't change settings (even the language*) unless we change nosave=0 in TeamViewer.ini. But doing that makes it using the registry to save settings so it's not a portable app anymore. @JT: TeamViewer Portable is fully portable. If you read the readme.txt you should be able to see how to save settings on a stick. Teamviewer is the best tool I've seen for remotely supporting family members. It will work behind routers, and dynamic IPs without any configuration. Just have the ID and password read to you over the phone and you're connected. You can create an account with a saved list of systems so you don't have to remember or have read to you the IDs. It will show who's online at a given time. You can predefine a password on the "server" so the user doesn't have to do anything for you to get connected (useful on grandmother's computer. As well you can configure it to allow incoming LAN connections, so you can connect directly to machines with no internet access (I find it higher performance for LAN usage than VNC). The web site also has a smaller "Quick Support" file which you can give to users you want to help to immediately set up the "server" component. If you change Options they are saved to the registry not the ini file. This program is not fully portable.